Big Data, as we all know, can now seen to be streaming into businesses as well as all over the Internet from various data sources may it be sensors, social media data, reviews, customer data, or even more. 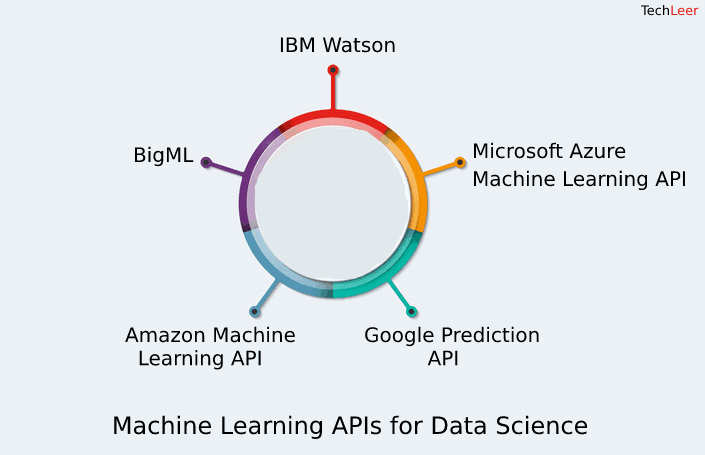 Many big recognized companies like Google, IBM, Microsoft and Amazon have a hand in helping businesses process big data by building Machine Learning APIs so that they can in return make the best optimum use of the machine learning technology. Very Similar to how developers create applications with the use of standard APIs, Machine Learning APIs for everyone, make machine learning easy to use. These Machine Learning APIs result in the abstraction of the complexities that are further involved in the creation as well as the deployment of machine learning models so that developers can focus even more on user experience, design, experimenting as well as delivering insights from data. Application developers always find ways to look for various ways to ease the lives of their users by the introduction of features that are novel and innovative that can help users save time. This is the reason for the popularity of Machine Learning APIs in app developers. Some standard examples of these APIs include Smart Tagging, Product Recommendations, Priority Filtering, and Spam Filtering. For the practitioners of Machine Learning who are on their heels at the moment to use IBM Watson’s machine intelligence service, may it be within their mobile or web applications, need to look for no longer. IBM Watson API is a cognitive service that simplifies the process of preparing data and makes it even easier to run a predictive analysis. It also provides its users with the use of visual storytelling tools such as maps or graphs as well as infographics to further exemplify analysis results and is thus an add-on. IBM Watson is made to be available for public use through IBM’s Bluemix cloud services platform. The listening, watching, talking as well as the understanding ability of IBM’s Watson is achieved with the help of an expanded set of tools, machine learning technologies as well as cognitive APIs in order to make itself more human. Developers can now effectively create products, services and applications with now even more cognitive skills by embedding with IBM Watson to understand how humans interact as well as react with their applications. Azure Machine Learning API by Microsoft succeeds in giving a helping hand to data scientists as they can now publish in minutes a feasible model which once used to take days after it had been developed. Azure Machine Learning makes it very easy for data scientists to make the use of predictive models in IoT(Internet Of Things) applications by the provision of APIs for fraud detection, text analytics, recommendation systems and several other business scenarios thus, providing an upper hand. The API has been built on the machine learning abilities that are available in Microsoft products like Bing and Xbox. Google Prediction API is a cloud-based machine learning and pattern matching tool that allows its developers to tap into Google’s machine learning algorithms to crunch data and give all possible results, therefore, making applications smarter. Google Prediction API makes the use of classifiers for programming the API service to make predictions. It reads all the data from BigQuery and Google Cloud Storage. Amazon Machine Learning API simplifies the process of making predictions that require lots of expertise when it comes to model building, data cleansing as well as statistical analysis. The Machine Learning model by Amazon deals with only prediction problems and functions by streaming the data past the model and then adapting it slowly, basically depending on the prediction error. Amazon Machine Learning API also provides its users with visualizations that are based on the prediction performance of the learned model so that the user can gain even better insights. Although Amazon Machine Learning API enforces a kind of UI restriction or algorithmic restriction on its users, it is still user-friendly and wizard-driven, thus, making it a good choice for developers. BigML is a Machine learning API that is user-friendly as well as developer-friendly and mainly concentrates on decision trees. The ultimate motive of BigML is to make predictive analytics understandable, easy, and beautiful to its users. It focuses on the understanding of the business processes. BigML API provides us with 3 important modes – Command Line Interface(CLI), Web Interface and a RESTful API. The web interface of BigML is pretty impressive as it comes with features like one-click and gallery. Given above were top 5 technologies which have been taking an upfront in the race with improvements that seem to be never ending.